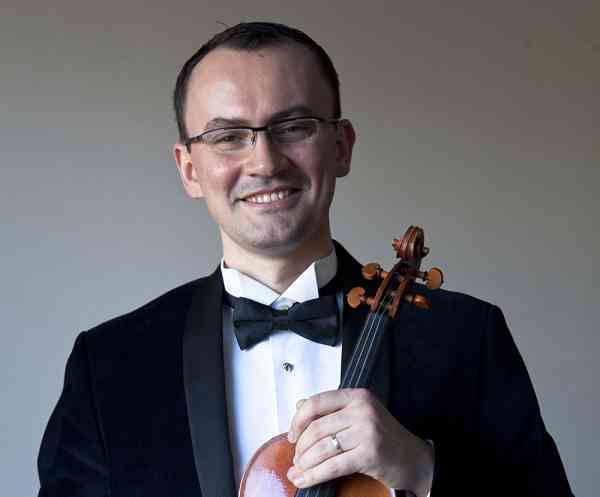 Mr. Dan Flonta earned his Master of Music in Violin Performance from Bowling Green State University in Ohio and his Bachelor of Music in Violin Performance from The Gheorghe Dima Music Academy in Cluj-Napoca, Romania. Mr. Flonta has performed extensively throughout Europe and North America. Some of the venues include The Berliner Philharmoniker Concert Hall and Chamber Music Hall, The Herodes Atticus Theater in Athens, Greece, The Norwalk Concert Hall, Troy Music Hall and the EMPAC Center in Troy, New York. A native of Romania, Mr. Flonta won an honorable mention at the George Georgescu International Violin Competition in Tulcea, Romania as well as a place at the prestigious Bach Academy Festival in Stuttgart, Germany under the artistic direction of Maestro Helmuth Rilling. In addition, Mr. Flonta was appointed Concert Master and Principal second Violin at several orchestras in Romania, Italy, Spain, Germany and The United States. Mr. Flonta’s teaching experience is vast and it includes positions with The Bowling Green State University in Ohio, Academy of Saint Joseph in Manhattan and The New York Conservatory of Music in Manhattan.